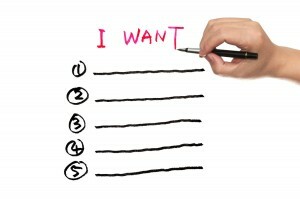 I recently read a U.S. News story that talked about the recruiter’s wish-list for job seekers. With a 6.7 percent national unemployment rate, I’m certain there are millions of job seekers out there who’d like to know what recruiters desire when it comes to hiring. The story’s writer, Arnie Fertig, explained how the Association of Career Professionals International – New England, which is an organization of the Boston area’s “top-tier career coaching and related professionals,” conducts a forum every year. During the forum, recruiters discuss the latest hiring trends, and according to Fertig, this year’s event offered much insight for today’s job seeker. A lot of candidates don’t bother to do their homework. If I send them the name of the company and the job description in advance, I expect them to read it and spend some time online researching. The people that haven’t done that are generally the people we aren’t going to go much further with. This is a reasonable wish. If you’re applying to work for a company, you should know something about the business (and why you desire to work there). Knowing your market is also helpful because you’ll be able to not only better understand how this particular company fits into the marketplace, but you can explain to the recruiter how you, if hired, will benefit this employer by making it more successful in that field. Just like in grade school (and any level of schooling, really), you most likely will fail the course if you skip out on homework. Be sure to pass the initial screening by conducting background research. Fertig adds a points from Atarah Levine, a senior sourcing specialist at Monster.com. Levine constantly reads resumes, and, Fertig writes, “stressed the importance of not only spell checking but having someone else read your résumé before you submit it to make certain your grammar and spelling are correct.” Levine is quoted as saying she’s witnessed the spelling mistake of “manger” instead of “manager” countless times. I don’t have to tell you how much one misspelling on a resume can cost you. Believe me, I’ve been there. If you skip out on editing and proofreading your resume before sending it you might as well have not applied. The recruiter is bound to click “delete” anyway. Don’t forget to spellcheck, and as Levine suggested, have someone else read over your resume. Oftentimes we proofread and proofread again, and everything looks okay. But having someone else comb over the document can point out errors our eyes grew accustomed to. Another good rule of thumb is to take a break away from your resume before proofreading it again to give your mind time to relax. When you return you will be more focused and able to spot mistakes. Fertig includes Edelman’s example of explaining someone his/her duties working at FedEx, saying “I picked up boxes over here and delivered them over there.” This, Edelman explains, is a task. Dig deeper when explaining your work experiences, focusing on how you contributed to the business’s mission and goals, and not solely listing the actual tasks you completed. Sure it’s great to hear that you worked on a marketing campaign, but the recruiter wants to know how this affected the employer. Focusing on how your experiences and accomplishments benefited an employer shows the recruiter that your skills and talents are an asset to a business. (And can ultimately become the same for his/her company). This wish is pretty straightforward…and appropriate. Would you want to work hard tailoring your resume, submitting an application, researching a company, and completing multiple interviews only to discover at the end that the position you’ve been working toward is nothing like the job description? Or that the salary ends up being much lower than what was offered to you? Do you want to be lied to or misled? I doubt it. We want employers to be honest when dealing with us, so we must return the favor. How many other candidates are you interviewing? When can I expect to hear back? We want honest answers to these questions and more. And although, unfortunately, sometimes expectations are not met, it is still very important to be completely truthful when interacting with a potential employer.